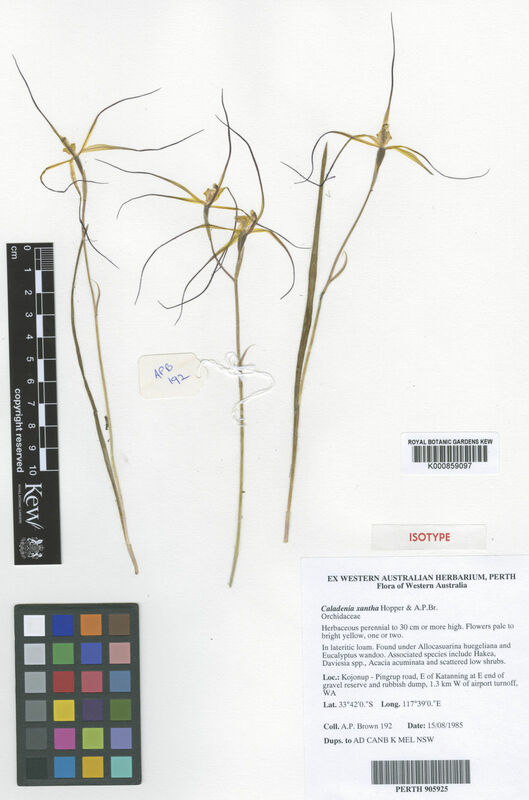 Caladenia xantha Hopper & A.P.Br. Calonema xanthum (Hopper & A.P.Br.) D.L.Jones & M.A.Clem. Calonemorchis xantha (Hopper & A.P.Br.) D.L.Jones & M.A.Clem. Jonesiopsis xantha (Hopper & A.P.Br.) D.L.Jones & M.A.Clem.